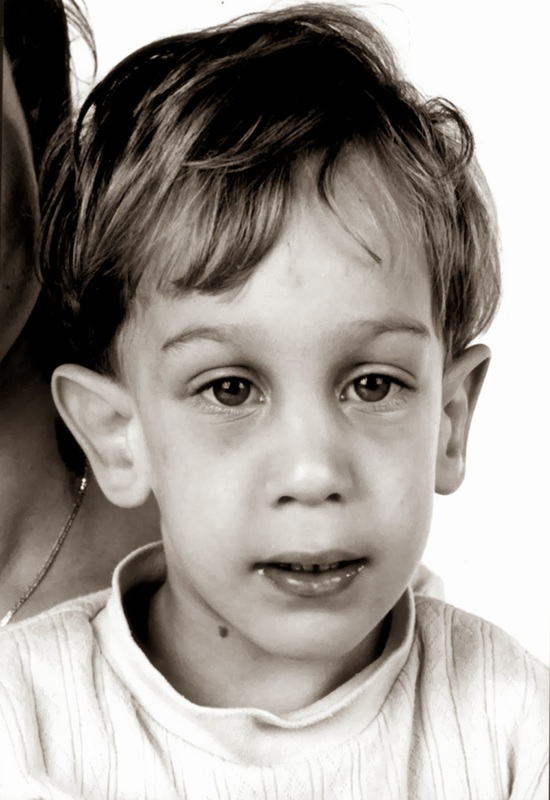 Fragile X syndrome: is a form of mental retardation that is caused by trinucleotide repeats in the FMR1 gene (Fragile X Mental Retardation 1). This is a X-linked dominant condition on the long arm of the X chromosome. Loss of proper function of this FMR1 gene somehow leads to mental retardation. “Full mutation” occurs when there are more than 200 CGG repeats on the FMR1 gene. At this point it is believed that the increased number of triplet nucleotide repeats cause hypermethylation of the FMR1 gene leading to gene inactivation. Characteristic physical features: (long face, large ears, and prominent jaw), and macroorchidism (abnormally large testicles). Diagnosis requires identification of allele (> 200 of CGG trinucleotide repeats in fragile X mental retardation 1 [FMR1] gene) with molecular genetic testing. Cytogenetic testing will reveal a small gap near the tip of the long arm of the X chromosome (where the repeats are located). 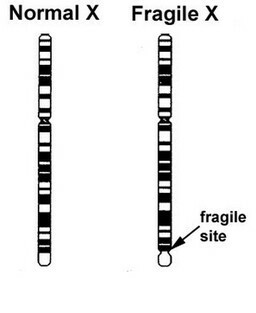 Origin of name: when cells of affected individuals are cultured in folate deficient medium the area of increased repeats do not stain and appear “broken” (hence the name fragile X). When cytogenetic studies are conducted, they typically show a small gap near the tip of the long are of the X chromosome.